Lawyers in France have argued against France's use of bone testing to determine the age of a minor migrant in front of the highest court in France, in an effort to prevent the continuation of a test that critics say is outdated and imprecise. “There are many causes of error on these tests,” said lawyer Isabelle Zribi, at France's Constitutional Council in Paris on Tuesday, adding that the margin of error in determining a person's age could be from two to three years. Unaccompanied minors who arrive in France have the right to stay and be educated until they are 18. The bone tests have been used to ensure that those who say they are under 18 years of age are telling the truth. 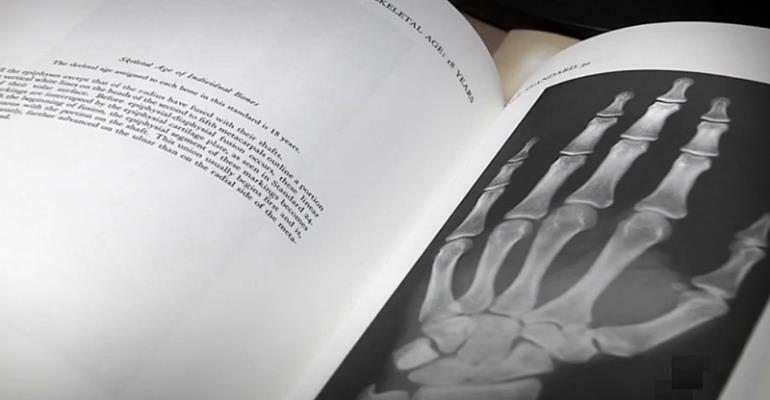 The bone test, an X-ray of a person's hand and their left wrist, is extremely inaccurate, Zribi told the court, giving an example that someone could have bones that looked to be 18 years of age but was actually only 14. “There is no scientific truth in bone testing, and you will find no one today who says the opposite,” she said. During a court case regarding bone testing from 2016, Jacques Toubon, the head of the Defenders of Human Rights organisation, said that he was “resolutely opposed” to the tests that were “ill-adjusted, inefficient, and undignified”. A French protection of children law passed in March 2016 prohibited the examination of puberty development, but an exam can be requested by a judge, after the minor in question agrees to the exam. “But is it constitutional or not? A minor risks being treated as an adult, so it is his right to shelter and school that is in danger, and there are also repercussions regarding punitive measures to be free,” said Zribi in court. The case was brought to court this month after a young Guinean refused to consent to a bone exam, which the judge in his case had used as proof that he was an adult. France's Constitutional Council is currently deliberating the case and is set to give judgment this week.